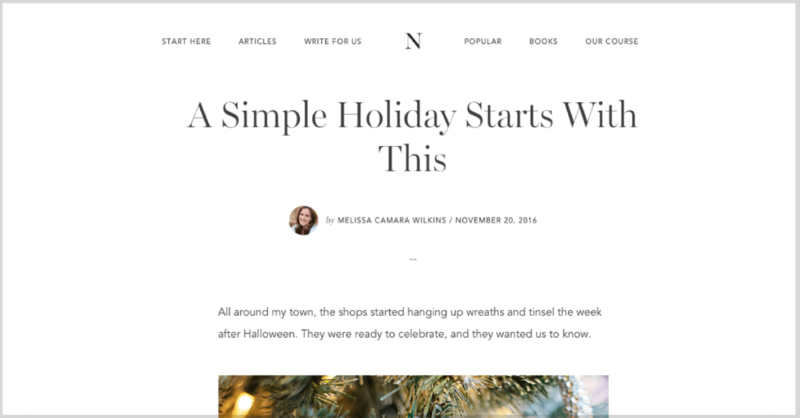 What comes to mind when you hear “holiday season?” Is it visions of sugar plums? (What ARE sugar plums?) Is it magic and wonder and hot chocolate with marshmallows, or is it angst and busyness and a feeling of drowning in pine needles and sticky tape? What if we practiced letting go of all that this year? I want us not just to ENDURE the holidays, but to ENJOY the holidays. I want us to anticipate our celebrations with hope, not with dread. I want us to be people who bring joy and peace wherever we go throughout the season. I want to make room for the joy, and the truth, and the beauty to shine through. I want to make room for what really matters. I don’t know about you, but over the holidays in particular, I have to be relentless about choosing less of what doesn’t matter to make space for what does. Read the whole story over at No Sidebar. 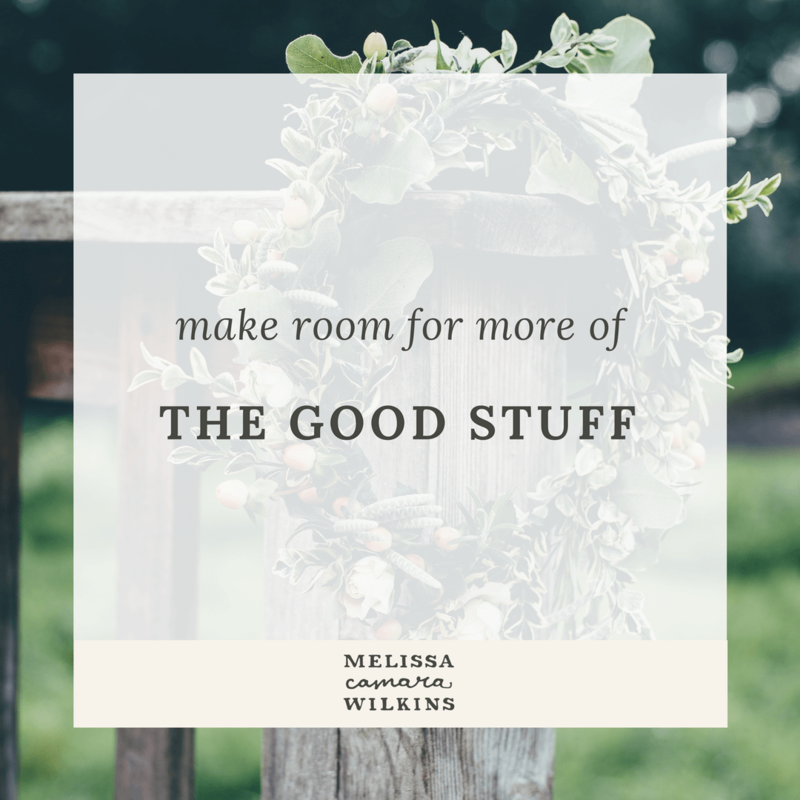 This year, let’s practice making room for more of the good stuff. P.S. – I’ll be on Facebook live every Thursday in December with more thoughts on the practice of enjoying-not-enduring the holidays. You can check out the replay of the very first video below! Want to hang out with me? “Like” my Facebook page here, then turn on Notifications so you don’t miss the live videos.